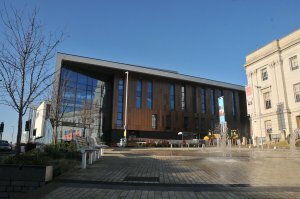 If you’re thinking of coming to Barnsley College or Barnsley Sixth Form College next September you have the opportunity to find out about the wide range of career pathways offered and see the fantastic facilities at Barnsley College’s Open Day on Wednesday 30 January 2019, from 4.00pm – 8.00pm. You will have the opportunity to speak to tutors, attend presentations, find out about the range of support services available to you, and take a look around the buildings to see our facilities. If you’d like to study for A Levels then you can visit Barnsley Sixth Form College on the same day as they will be having their Open Day too. Just a few minutes walk from the Old Mill Lane campus, Barnsley Sixth Form College offers 26 A Levels and celebrated a 99% pass rate in 2018.